Are you having a problem with your car? Then you probably need to check it, either take it to the workshop or try to fix it by yourself. If you try to fix it by yourself, then you probably need to get to the lower surface of your car. In this case, there are many difficulties like your body size, or you don’t want to get dirty. So to ease your way to get to that part, you can buy the portable under car access machine, one here that has been standardized is the Maxjax. 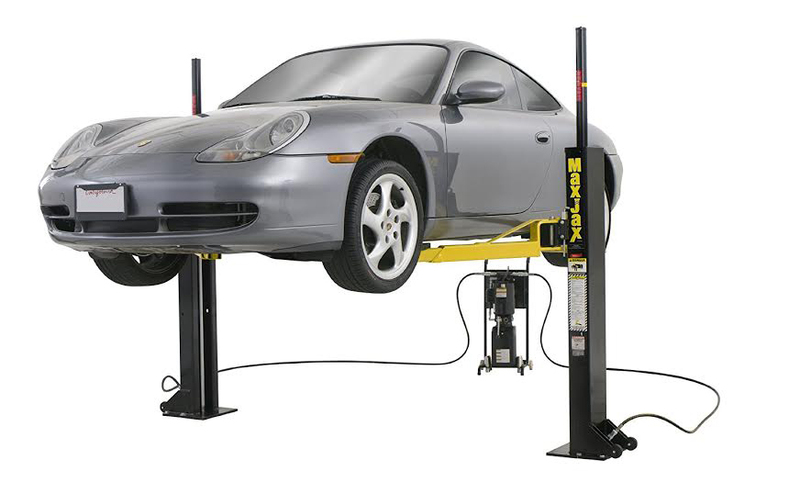 Maxjax is made professionally by its manufacturer to lift up your car and ease your way to see the bottom side. However this product is not very affordable as the cost is pretty massive, but maybe for you who has a big budget, you can start to look for this kind of thing. So if you are interested in this topic, let’s see the explanation below. The installation of this product is pretty difficult, and its weight is what cause it. You need to make concrete which has the minimal thickness of 4.25”. You also need to ensure that the anchors are holding nicely or else you will get many unexpected problems. But once the anchors put inside, the grab of this machine will be very solid. You also need to mind about its need for big space. You can try to put it in your garage as you can prevent the unexpected thing like collapse to happen. The mechanical itself need to be taken care by the professionals; you can call for some professionals to ensure the perfection of the procedure. Lastly, be sure to check it again as the machine is pretty dangerous because of its massive size. The performance is pretty complicated as you need to learn how to use it properly before using it. Why is that? Because Maxjax is not a 100% ensured machine, many of its users have found many problems while performing it. But most of the problems are caused by the customers that not reading the procedure before using it. So keep it in mind to read it first before using it for your safety. After that the lifting moment is pretty simple, you can do it in less than 15 minutes which is why Maxjax is praised for its easy storage and setup. Other than that, you can lift up many vehicles like the motorcycle, or even the ATV. The weight won’t be a problem as long as you don’t use it for a heavy-weight vehicle like a truck which is impossible. Maxjax is providing us with a nice portable under car access, it is pretty simple, and the material is a good one. But there are many problems with the safety and the right procedure which can cause a danger for the customers. So we don’t recommend this product because of its track record in the safety aspect. It is best for Maxjax to do more test and simulation for its product before selling it in the market. Motor: 110-220 V AC / 50-60 Hz. 1Ph. Check the best price for Maxjax here!